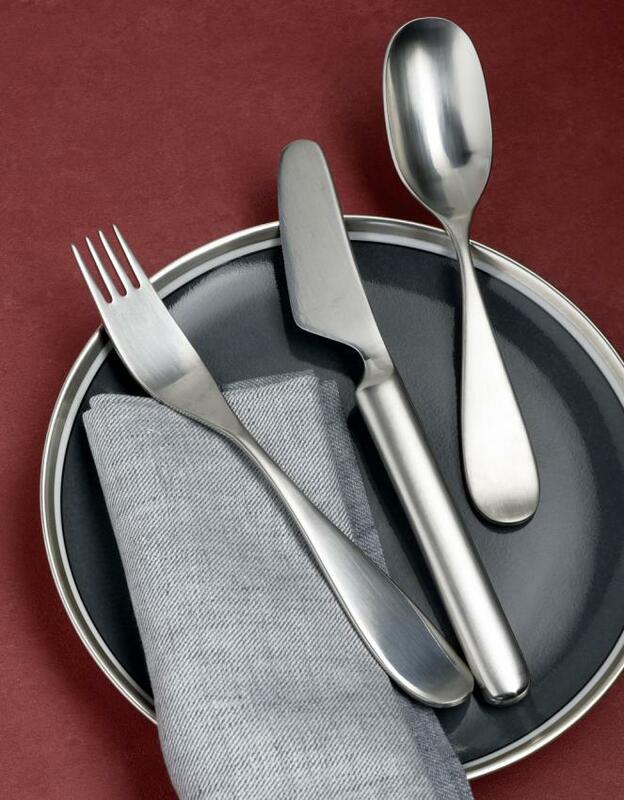 the cutlery designs by the Norwegian designer, Una continues to impress today. of silverware in conjunction with the zeitgeist is unmistakable. 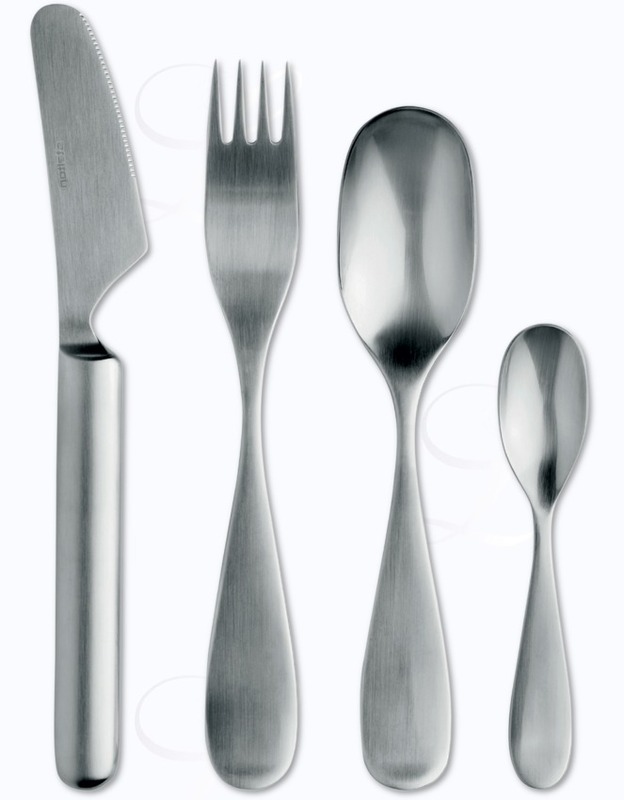 Stressed silhouettes contrast cylindrical knife handles in distinguishing Scandinavian manner. Stable and soft touch, the haptics assure continuous joy. Amongst others, the cutlery model is an exhibit in the permanent exhibition of the Design Museum London. It was even a wedding present for the Norwegian Crown Prince in 2001.
persistence of fashions, so the style icon has found its place beside Color IV Grau, a worthy partner and a characteristic connection. a hollow handle. Knives with a hollow handle have a blade of special steel which is clearly sharper than a blade from an simple chrome steel. The high-quality hollow handle knives are always composed from two parts, with this cutlery from the blade and the handle from stainless. Stelton Una in stainless is matte. The functional, extraordinary cutlery has only some additional parts: from table knife hollow handle to coffee spoon, from coffee spoon to table spoon .